Come celebrate St. Patrick's day and the onset of spring as we decorate cupcakes and learn about diversity and inclusion in the league! Join us for cupcakes and conversations as we decorate cupcakes and learn about diversity and inclusion in the league. We’ll be learning fun ways to decorate cupcakes, and trying some delicious new cupcake recipes. 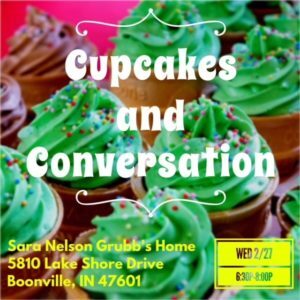 This event will be held at the home of Sara Nelson Grubb, located at 5810 Lake Shore Drive, Boonville, IN.